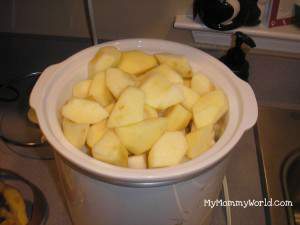 One of my new favorite things to do is to make homemade applesauce in my crockpot. Since I learned how easy it was to make at home, I’ve made it numerous times and we all love it! My recipe (if you can call it that!) works great. I don’t think I will ever buy jarred applesauce again. 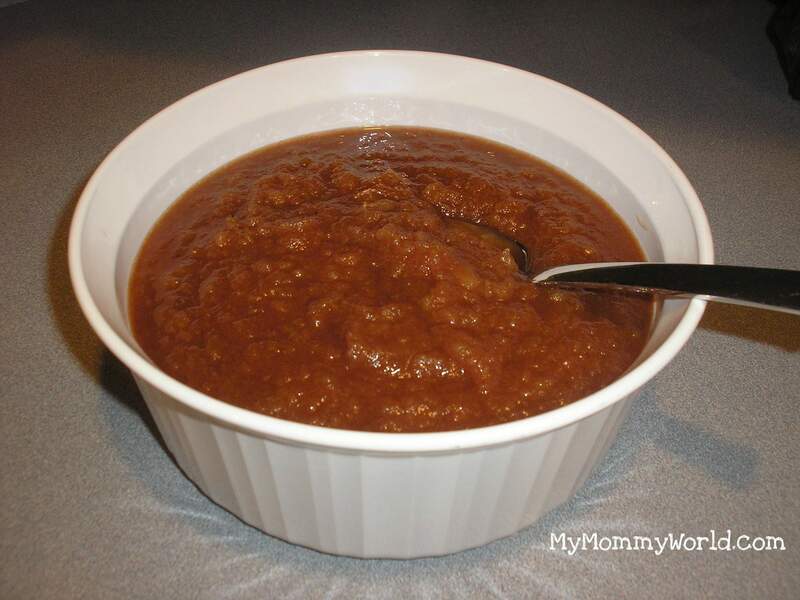 Homemade crockpot applesauce is so much more tasty, plus it’s super easy to make. I usually get apples from my local Harris Teeter’s clearance rack. They usually have a few bruises on them, but it’s not a big deal since you have to peel them anyway. 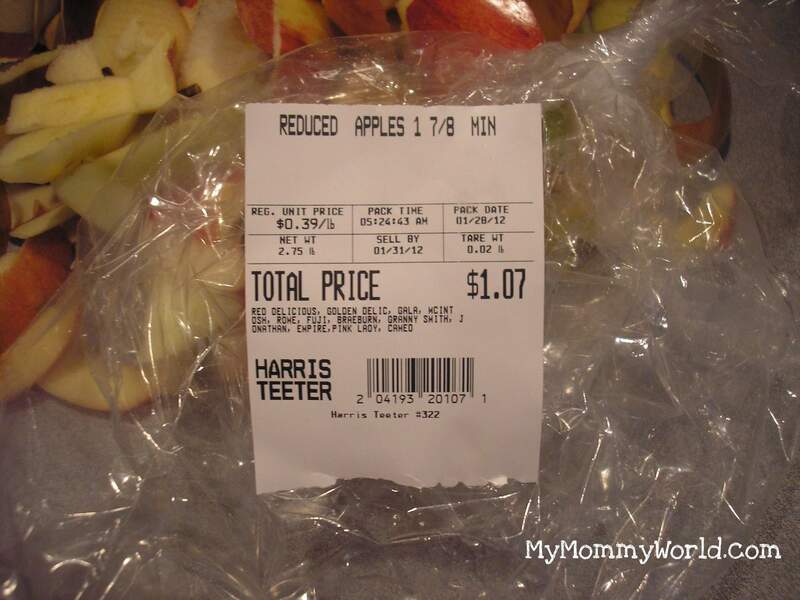 This makes the applesauce very inexpensive. First, peel your apples and cut out the cores. Then chop them into large chunks…I can get about 12 pieces from one large apple. Throw them into your crockpot and turn the heat to low. Next, sprinkle the top of the apples with any spice that you like. 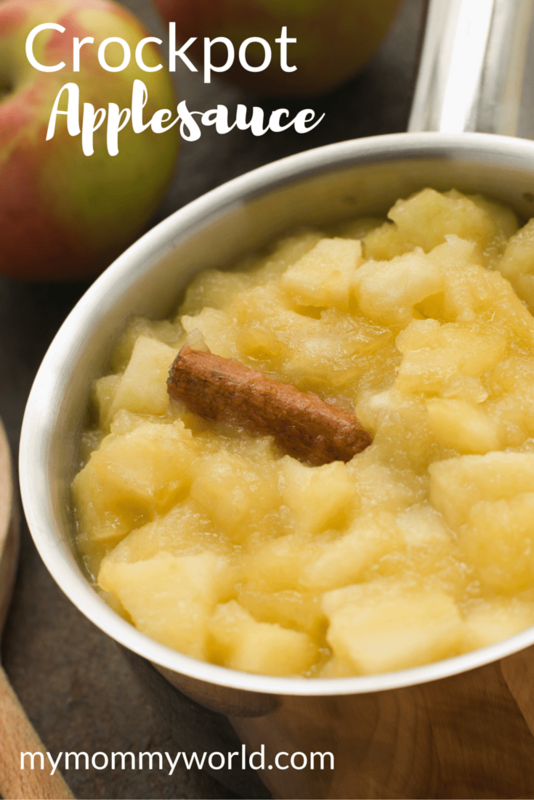 I have made this applesauce with plain cinnamon, apple pie spice, and even pumpkin pie spice (since I had a lot leftover from pumpkin season 🙂 ) I never measure this….just sprinkle it on until you have a pretty good layer. If I had to guess-timate, I would say that it would measure about 1 1/2 to 2 teaspoons. Cover the crockpot and cook on low for about 4-5 hours, until the apples are very soft. I do not add any liquid, although you could if you wanted. I like my applesauce thick and chunky, and I find that the apples exude just the right amount of juice on their own. Stir the apples a couple of times while they are cooking. When the apples are done, I stir the sauce very well to break up any remaining big chunks. I also use my potato masher sometimes if the spoon doesn’t work (Granny Smith apples tend to hold their shape pretty well and need help to mash). I then add my sugar to the applesauce….again, I never measure. I pour some in, taste the mixture, and then add more if needed. 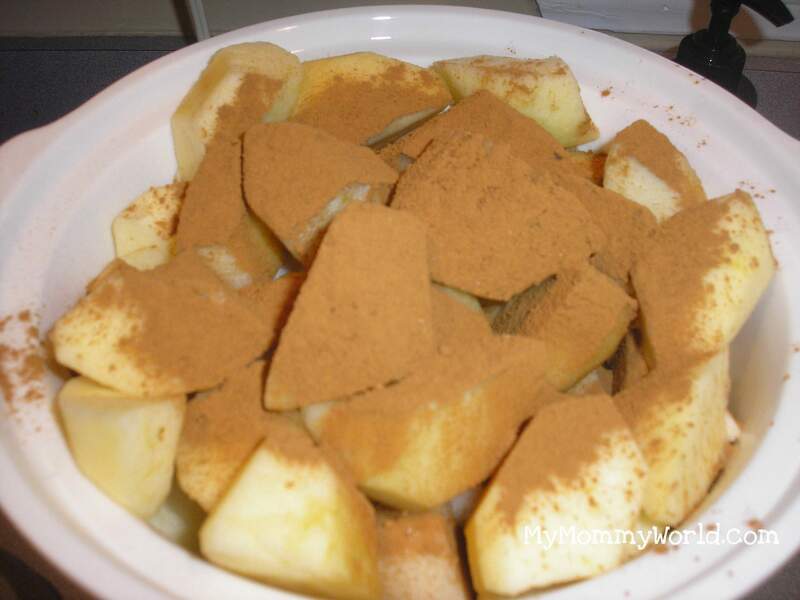 Place chopped and peeled apples into the crockpot and sprinkle with cinnamon. Cook on low for 4-5 hours, or until apples have cooked down, stirring every hour or so. Mash the apples with a potato masher or with the back of a wooden spoon. Serve warm or cold from the refrigerator. I just love homemade applesauce. I have never made it in a crockpot before, but did see the post on Money Saving Mom too. I have made and canned apple/pear sauce. It is soo good. You don’t even need any sugar added. I got a few of my friends making it too. I just might have to make some this week.